Are you over 60?Would you like to walk the camino de Santiago? If you are over 60, you are likely to enjoy the Camino as if you were in your early thirties. Your age is generally in your mind and you are as old as you allow yourself to feel. Each year the pilgrim office in Santiago de Compostela publishes the number of pilgrims that have received the Compostela for that year. Since there are pilgrims that don´t care about the Compostela and never pick it up, it is difficult to know the exact number of pilgrims doing the Camino. Even so, we can estimate some interesting percentages such as the number of pilgrims who are over 60. Pilgrims in 2013 who received the Compostela were 215.880. The percentage of over-60 people was 15,50% (33.461 pilgrims). 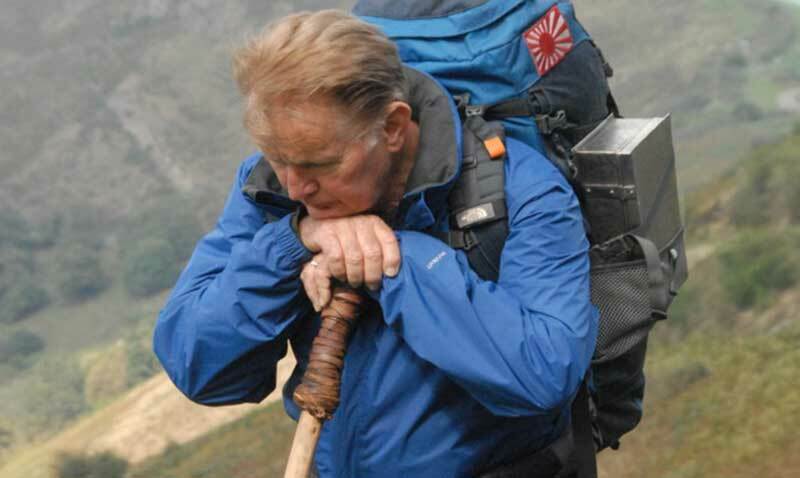 Nowadays most of over-60s are in good health but they may not be experienced long distance hikers. Therefore, they are usually concerned about the distance they can reasonably walk in any given day or about the risks that their bodies can run. Don´t hurry. Try to start the Camino in a relaxing way so slower is best in the beginning. Then you can walk faster gradually increasing you mileage. Everybody doing the Camino Francés says that the first week is critical to the rest of the Camino. Let your body get used to the everyday walking, climbing and backpacking or you will have problems later with your back and knees. Don´t have your pack over 10% of your body weight. The lighter your backpack the better. You don´t need much and if you need something you can buy it or borrow it. Take care of you body. Especially, take care of your feet, back and knees. Take suitable boots (bigger than your usual size to prevent swelling), wear two pair of socks (a light weight wicking inner sock and a heavier wool outer sock), take bandaids, bandage… Be sure you know how your body will react to seven or nine hours each day of walking. Some stages are difficult. You can do it but you have to know that it´s not a piece of cake. If you can afford it, avoid “albergues” whenever hotels, casas rurales or hostals are available. Albergues are fine but some senior trekkers need quieter and more relaxing places to unwind after a long day of walking. Train for a reasonable time before doing your Camino. You can train at the gym on a treadmill or simply get used to walking one or two hours per day at least for 3 months before doing the Camino. Try to train hard since nobody knows how hilly the hike is until they walk the Camino. Take a day off every ten days or so, especially if you can take your break in an interesting city or town. Remember that the Camino is not a race. Enjoy the scenery, nature, culture, friendship, gastronomy…feel yourself at home. Take your time and don´t mind if you are slower than others or if you have to take a bus or a taxi several times for short distances once you have walked enough and your body is telling you to stop. Taking a bus or a taxi is not cheating, all depends on how you feel and how close your accommodation is. In short, I would say that you should listen to your body and find your own pace. 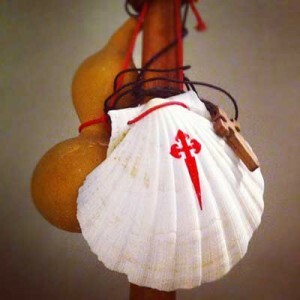 The Camino is an amazing journey with outstanding pilgrims who will help you if you need it. Don´t worry about your age, maybe you are better trained (mentally and physically) than other younger pilgrims since you have worried about preparing your body and mind in advance. Haven´t you? Buen Camino for our over-60 pilgrims. Thanks for the tips and guidelines. Hug. Greatest destination hike ever! Did the last 140 miles in two weeks in 2011 at age 66 with Ramblers, UK. Quick pace but loved it. Would like doing more some day. You should be 60 or over to write about walking the Camino when over 60. Sorry Scott, but the opinions written here are not mine.They are collected from people over 60 who walked the camino. I did the Camnino last June I walked over 500 miles and it took 56 days and your right, to slow down is the key. It was the greatest experience in my life. I am 68 but never did act my age. I was very happy staying in the hostels. Had zero blisters and did not fall once. Thanks for your comment and telling us your experience and Buen Camino! I have walked two Caminos in my 60s. I loved staying in the hostels (albergues) and believe that doing so made such a difference. I absolutely loved the camaraderie among the pilgrims while at the hostels. Though I did enjoy a few nights in more quiet settings (camping and private homes), my fondest memories are of times in the hostels. Thanks for telling us your experience Jane. 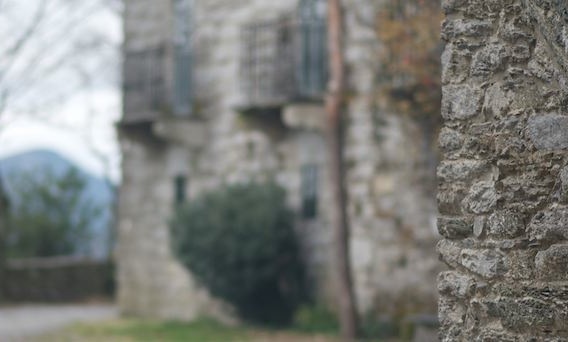 I think it is a good choice blending albergues and hotels in your camino in order to have a great experience in it. Buen Camino Jane! Your are welcome! Thanks for reading our post! I was 55 when I walked. I thought I’d want some privacy, so counted in my walking time 1 day per week to stay in a hotel or somewhere I could have a room of my own. BUT, I only used this once, inside the giant Leon albergue. I never wanted to leave the Camino and the other peregrino/as. Tip on blisters: there’s an anti-chafing stick that runners use. My husband uses Glide, but there are probably others. I put that on my feet and between my toes daily, and never got a single blister. Thanks for your comment and tips about the Camino. Walked Pamplona to Santiago fall of 2013 with wife. Me 68, she 67 – planning to do again in 2015 to celebrate my 70th birthday. Slept in albergues & carried our own bags. Would not change a thing except walk a little slower. I’ll be 67 when I walk my first Camino next year. I’m thinking of walking del Norte, any extra advice for that route? Great tips. Thanks Anxo! I walked the Camino last year and turned 66 while visiting Bilboa. I met many pilgrims older than myself on their 2nd or 3rd Camino. Slow and steady and don’t forget walking sticks and changing your socks while eating or resting… Also I picked mint, rosemary and lavender to use in my boots and pack to freshen them. Stay in shape cause Over 60 ROCKS! Does anybody has experience about walking the Camino with a dog (a small one)? I’d like to do it but I read, dogs are not allowed in hostels. Just now beginning to consider the Camino and am very grateful for all the constructive feedback. It wasn’t until I’d reached my early 60’s that I finally ‘blossomed’ in that at the age of 62 years, I completed my first ever 170 mile cycling from Houston to Austen, TX, then on to a 3 day, 60 mile walk in Dallas, then the next two years, completed multiple walking events, including two marathon marches through the New Mexico high country desert for the Bataan Memorial Death March….all that to say, it’s never too late, it you’re blessed with reasonably good health and a strong spirit and drive to meet the inevitable challenges that such activities will bring upon us ‘oldies but goodies’, it’s all doable. I’m psyched and reach to walk! Are there many people walking “alone” as I will have to go on my own. Elizabeth, I have the same question. I am 67 and looking forward to my first Camino, planning it for May. I may have to walk alone also.